Pittsburgh Pest Control: Why Pestco Professional Services? 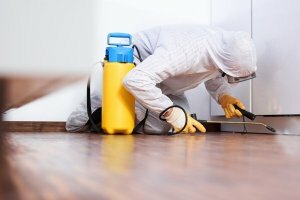 Business owners and managers of all industries across Greater Pittsburgh, Western PA, Eastern Ohio and the West Virginia panhandle have a gazillion options to choose from when it comes to pest control companies, but there is only one with well over seven decades of operational and innovational experience. Pestco is a name that has been synonymous with superior pest control and pest management solutions in Pittsburgh, PA, since our formation back in 1948. Over the course of more than seven decades, we have mushroomed into an industrial leader offering the best services, products and solutions that money can buy to commercial spaces plagued with pest infestations of all types. Our highly trained and knowledgeable technicians understand that each infestation presents its own set of problems and challenges and they are prepared to meet all of them head-on. While it’s easy to simply state we’re the best, it’s quite another to explain in depth why business owners of all types and industries have opted, and continue to opt for Pestco Professional Services to manage all of their pest control, odor control and restroom hygiene needs. Read on for a detailed description of the expansive breadth of our commercial services and expertise, or call our team today for immediate or long-term pest control! (412) 252-5200. Pittsburgh and Western Pennsylvania office spaces of all kinds are trouble spots for pest infestations. Mice, spiders and cockroaches adore tabletops in break-rooms and cluttered storage areas because food particles are often left behind. These provide the perfect havens for roaches and mice. The presence of even one roach scampering about a restaurant floor or worse, table, can undo the satisfaction of a wonderful meal with excellent service and completely undermine the bottom line and reputation of any Pittsburgh dining establishment. According to the Allegheny County Health Department, thirteen consumer alerts and two orders for closure have been posted this year because of rodent infestations (mostly mice, but some rats as well). In comparison, for 2017 there were eight such actions for the entire year. In June of 2018, a restaurant on Liberty Avenue in downtown Pittsburgh was hit with a consumer alert over a cockroach infestation. According to the Tribune Review, inspectors found cockroaches under the drink machine, radiators and in a cabinet under a sink. During this same month, a customer complaint about a fast-food outlet in Oakland led to an investigation which revealed mouse droppings in the customer seating area and on foldable takeout boxes. A popular Thai restaurant on Pittsburgh’s North Side, was named the city’s best Thai restaurant in the Best of Pittsburgh competition. A customer complaint prompted an inspection, where a dead mouse was found inside of a cooking vessel and droppings were found on plates, dishware and shelving. According to Donna Scharding, food safety program manager for the Health Department, which inspects 8,400 food facilities in Allegheny County: “We definitely have been identifying more rodent activity. This is where our experts come upon the scene to eliminate these pests with the most modern and cost-effective Pittsburgh pest control and pest management strategies available on the market today. Known generically as SPIs, stored product or pantry insects include: beetles, weevils, Indian meal moths, and mites. These insectsdo severe damage to food supplies and can cost the average business about $36,000 each year. Put in perspective, this is double the cost of a typical pest infestation conducted by our highly skilled experts. Sixty percent of affected companies that have suffered from a stored product pest infestation reported an annual revenue loss between 1 and 9%. Pittsburgh food processing plant managers as well as owners of warehouses, grocery stores and granaries must be alert, pro-active, and always on the look-out for indications of infestation because they are the most affected businesses. Our technicians are on call at all times to initiate a pest control and pest management program to deal with these invasive pantry pests that usually involves pest exclusion. Bedbugs are misnamed, for they do not live in beds. They can and do reside anywhere there are huge populations, feeding on the blood of both humans and animals alike. They infect clothing, upholstery, bedding, furniture and rugs and can wreak havoc upon the bottom line of any commercial business throughout Greater Pittsburgh, Western PA and the trip-state areas. According to a recent poll conducted by the National Pest Management Association (NPMA), bedbugs are a serious problem for many Americans and a significant number of Pittsburgh homes, hotels and schools. Pest control specialists have reported almost 25% more incidents concerning bedbugs than last year. Bedbugs are impossible for the average Pittsburgh business to eradicate without professional pest control. These insects are hitchhikers and they latch onto clothing and luggage (and anything else they can) spreading their kind almost like an infection, which if left untreated can spread and wreak havoc throughout a human body. Pittsburgh hotels, schools and universities can be hard hit, for they are transient settings involving travel, luggage, dorm rooms etc. One bedbug preventive measure and the reason to call Pestco Professional Services first is our quarterly canine inspections. It is by far the most efficient early bedbug detection strategy. The nose of a trained dog possesses up to 300 million olfactory receptors, as compared to about 6 million in humans. Part of the dog’s brain is devoted to analyzing smells, and it is for this reason that Pestco’s canine inspectors, who are all known as Radar, can be so well trained to detect specific odors and situations. Additionally, we are uniquely equipped to employ the most effective innovation in the bedbug control industry in recent times; a new biospore spray called Aprehend, which is safe for pets and humans and completely and effectively eliminates bedbug infestations of any size. Subterranean termites eat all the time and they are the most destructive insect species found in the United States. They incur an estimated annual $5 billion in property damages and repair costs. Every year, more than 4 million homes and businesses within the United States are at risk of termite infestation. This figure is even more staggering when it comes to damages to building structures and crops, which amounts to an unbelievable $30 billion. Pestco annual inspections are mandatory to effective termite pest control and pest management. Although inconvenient, these inspections must become integrated with Pittsburgh company operations, as they are essential to the verification that products are working effectively, that new openings have not appeared and that termites have not created their own new modes of ingress. Though not as costly as termites, carpenter bees can cause serious cosmetic and structural damage to homes and businesses in the Pittsburgh area, especially wherever there are wooden edifices. The biggest problem with damage assessment is the fact that by the time it is noticed, it is usually too late. The destruction occurs when these insects infest the same pieces of wood over and over again, since the holes bored by the bees also facilitate moisture and subsequent decay and rot. Nesting sites include eaves, rafters, fascia boards, siding, wooden shake roofs, decks and outdoor furniture. Any noted early signs, such as drilled holes in wood, should promote an immediate call to action by our team. Throughout Pittsburgh and western Pennsylvania, the best integrated pest control and our highly knowledgeable experts, who attend company workshops to ensure they are always a few steps ahead of the pests they encounter, perform pest management services. Our pro-active approach entails an extensive and thorough examination of the affected facility and the sealing up of any cracks and crevices that might permit insect and/or rodent ingress. Click to get immediate pest management and control! Pest Exclusion is an ancient although far from formal technique used to prevent pests from gaining entry to stored food supplies. Before the advent of sophisticated pesticides, the siege for hegemony between man and pest invaders was one in which the intruders always won. It was a losing battle; populations were nomadic and hunters and gatherers had only indirect pest exclusion methods to rely on. These ancients were limited to storing grains from their field crops in granary baskets placed on raised wooden platforms in efforts to keep crop pests away; planting enough crops for both man and pests and roasting insects and consuming them as sources of protein. Today, pest exclusion is a pro-active tactic used in large buildings such as schools, offices, hospitals and restaurants that involves sealing up potential points of entry. Our main selling point concerning the incorporation of a pest exclusion policy is the fact that it’s much easier and safer for the environment to keep pests out of a commercial space than it is to eradicate an infestation once it takes hold. Pest exclusion is a first line of defense against infestations. Our integrated pest management services are cost-effective and safe for the environment because their products are 100% sustainable and their solutions are based upon both biology and the natural life cycle of pests. The very first thing we will do is thoroughly inspect the building for vulnerable areas and reinforce them against invading pests wherever possible. There is no substitute for professional judgment since there are some areas in every commercial space that must remain ventilated and open to some extent. Air currents can be alluring to pests, as they have seasonally appealing temperatures (cool in the summer, warm in the winter), or they can carry the scent of food being prepared inside. For the ultimate in Pittsburgh pest control and pest management solutions, all industries including: food and restaurants; gyms, salons and fitness centers; schools and universities; hospitals and nursing homes; showrooms of all types; and retail stores and boutiques just to mention a few, should take advantage of this special offering of professional services. This three-pronged initiative offers the ultimate in pest control and pest management, washroom hygiene services provided by Enviro-Master and environmental odor and air freshening solutions supplied by Air-Scent. Cost-effective, fully integrated and uncomplicated, these complete, professional hygiene services are all performed by highly trained technicians. The program is available under the cost-effective blanket of one highly respected company. These bundled and diversified facility maintenance services include: pest control and pest maintenance strategies, washroom hygiene services provided by Enviro-Master and environmental odor and air freshening solutions supplied by Air-Scent. Our Complete Facility Care program represents one company’s commitment to complete care for all types of commercial enterprises located in Pittsburgh and western Pennsylvania. It is a complete, one-stop-shop all commercial pest and hygiene maintenance needs. Effective pest and hygiene maintenance are critical to the success of any business venture. In addition, our technicians use only sustainable alternatives to address pest control and pest maintenance problems. So call our team today and let us help you with any pest control or pest management issues you may have experienced. Even if there have been no problems as of yet, there is no guarantee that there won’t be in the near future. To ensure peace of mind and concentrate instead on daily business operations, let us transform your business into a pest-free, sweet-smelling and hygienic place to both work and visit. Managing pests has been a problem down through the history of mankind. Many ancient cultures dealt with pest control and pest management problems in unique and sophisticated ways and some modern pest control tactics are based on these ancient insights. Below are some examples. The earliest recorded use of pest control dates back to 2500BC and the Sumerians, who used sulfur or “brimstone” compounds to kill insects and mites that fed on their crops. The ancient civilizations living in the Fertile Crescent along the Tigris and Euphrates Rivers in Mesopotamia pioneered the cultivation of many crops. They utilized complex agricultural and pest control techniques that included: traps, nets and other physical barriers. They were known to catch and burn insects in bonfires. The first recorded use of natural and/or biological controls to halt pest populations date back to ancient China. Citrus growers noticed that a species of ant fed upon the caterpillars that were decimating their fruit trees and they began to seed them in their plots to control those larvae. They were also the first to use pest baiting as a pest control technique. During the Han Dynasty, farmers baited the corners of crop fields to attract melon worms. By developing structures that could exclude rodents from granaries, the ancient Greeks became the first civilization to develop a practice well known and in use by pest control experts today; namely, pest exclusion. Around 300 BC, the Greek philosopher, Theophrastus, recognized that by understanding a pest’s lifecycle, one could apply management techniques more strategically. In ancient Greece and Rome, the leaves of orchard trees were coated with bear and goat fat to inhibit insect activity. Pruning knives that were also coated with these fats were used to prevent disease getting into the ends of cut stems. In ancient Rome, farmers used the juices of hemlock, lupin and squill as seed treatments. These and other plant species contain highly poisonous compounds that killed insects, larvae, small animals and sometimes even people! They treated granaries infested with rats and mice with baits that were laced with highly toxic hellebore, hycoyamus, hemlock or wild cucumber. During the early Middle Ages (500 to 1100 AD), the presence of rats and the need to exterminate them fostered the development of natural pesticides, which included the application of chemicals and plant extracts which were somewhat effective. Several historical records indicate that people often chanted the names of saints and recited various religious incantations in futile and desperate attempts to drive rodents out of many European cities and towns. During the 1600s, the major materials used for insect pest control and pest management were nicotine, herbs and arsenic. In early America, farmers relied on natural methods, such as introducing insect predators and relying on migratory birds to stabilize insect populations. They also planted trap crops (known as intercropping), which were grown to lure marauding pests away from one crop and towards another. In the year 1750, scientists discovered that derris and pyrethrum work well as botanical insecticides. In 19th century England, The Victorian Flea Trap, which was developed about 1840, was a popular though ineffective pest control instrument of the times. Paris Green, an effective insecticide developed the 1860s, was an agricultural pesticide developed to kill the potato beetle which was devastating crops in the midwestern United States. This very poisonous green compound contained arsenic. In 1888, American farmers experienced the first major successes with imported biological control agents from Australia for citrus crops. In the late 19th century, the lack of federal regulations concerning pesticides paved a pathway for experimental, worthless and sometimes dangerous products. Unscrupulous snake-oil salesmen were the only ones who profited from the sale of these bogus products.